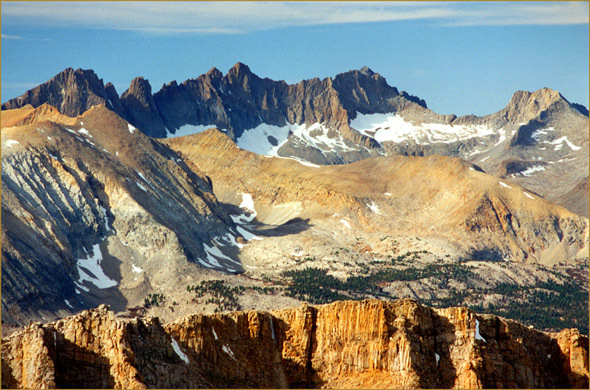 Gray Kaweah, Red Kaweah, Black Kaweah and Kaweah Queen from the back side of Mt Muir. See that little hill in the foreground? That is Mt Hitchcock, which is 'only' 13,184 feet high. I made this image on December first, just before the year's snow began in earnest. The snow which you see here was all left over from the year before.